HomeThe BestThe Best Headphones for Jazz | FREQUENT FINDINGS!! The Best Headphones for Jazz | FREQUENT FINDINGS!! This is part 1 in a 7 part series on Genre, which takes a nostalgic look at some of my personal experiences with various types of music, games, and pop culture over the years. Check out the others if you would like! Suggestions for how to improve? Contact me or leave a comment below! Great stuff. Coltrane has such an exciting style, I remember when I first started listening back in July/August of 2015, I was groovin’ hard in my room! 🙂 It evokes such a pleasure response in you that it’s easy to get lost in. “Giant Steps” by Coltrane is still probably my favorite album front to back. The energy, technicality, and raw talent that he displays is virtually unmatched. If I’m feeling a bit more somber/reflective, of course the go to is “Kind of Blue” by Miles Davis. Timeless album. I’m sure if you’re reading this, you have some experience with Jazz (and maybe significantly more than me!). What is your budget? What are you looking to spend? This article will outline some budget options as well as some higher end offerings. Are you looking for the absolute best? This is highly subjective, but I’ve done quite a bit of research on the matter, and a few models do come up quite often when people discuss the best. I also have first hand experience with many of these choices, and I have a good idea of what sound signatures pair best with this particular genre. Portable vs. Studio. Do you want to be able to plug and play into a portable device, or use your headphones in a home studio environment? The headphones in this article are meant for use in an isolated studio/home environment. You aren’t really going to want to wear open back headphones in public, as they leak sound and disturb others. Do you know about the benefits of good Soundstage? What is Soundstage? Soundstage is an important determinant in deciding whether or not a headphone will fare well with Jazz. Why? Because the genre tends to spread out the instrumentation left to right. A headphone with good Soundstage will also open up things considerably, allowing you to get more of a live flavor with your experience. I did a search in google and saw a ton of forum discussions on Head-Fi, a popular and really informative website about everything headphone. I wanted some raw data, so instead of trying to remember which headphone popped up most frequently, I did a tally. Mind you, not every single headphone I came across is in here. Why? Because some of the ones that were only mentioned once I left out. Some like the Stax 007 and 009 series are so darned expensive that I personally wouldn’t bother. I’m not looking to mortgage away my life savings on a $2,000 pair of headphones. Lol. I’m pretty confident you aren’t either. With that in mind, let’s talk a little bit about sound-stage. 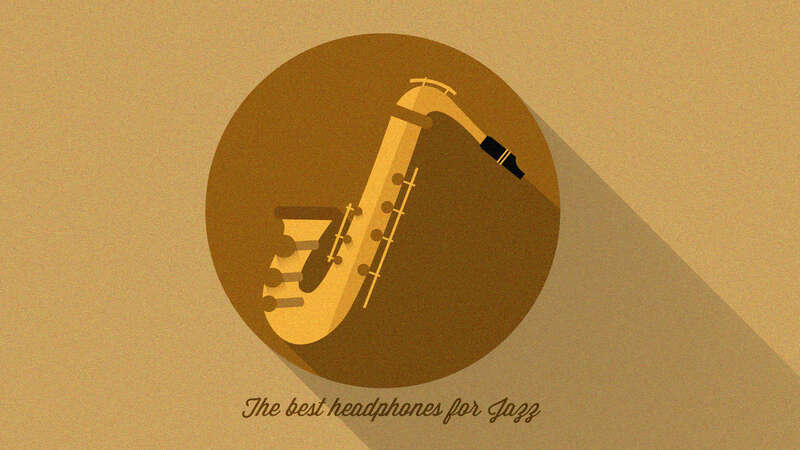 Perhaps the most important ingredient in a good pair of Jazz headphones! Soundstage enables you to hear each and every instrument with startling clarity and realism. It allows for good separation of said instruments, and gives you a sort of 3-d surround sound experience. Instead of feeling like the music is in your head, you may feel as though it’s literally surrounding you. Generally speaking, open back headphones do the best job of this, but don’t expect miracles. I’ve demoed countless headphones, and have come to the conclusion that while Soundstage is a real phenomena, it’s not as realistic as people would have you believe. Yes, the Sound does open up quite a bit, but you’re never going to actually “feel like you’re there.” It’s not that good. Lol. Good Soundstage does not mimic surround sound speakers no matter what anyone tells you. What you will experience is much better clarity, instrument separation, and depth. The Sounstage will expand, but in most cases you’ll experience it just outside shoulder width, and in rare cases beyond that. Because some sound can escape, creating an airy, open feeling. Closed back vs. Open back headphones. There are however some really great closed back models that do an impressive job with sound-stage, although you would never buy a closed back set solely for this purpose. Check out my AKG K553 Review for the best closed back reference model. The other consideration is bass response. The models I’m about to mention all have a good, tight, and clean frequency, but it’s never overpowering. With Jazz especially, you never want the bass to drown out the other instruments. The last consideration is adequate amplification. Some of the headphones I’m about to discuss need an amp, others don’t. If you need help on how to choose, check this article out! How to choose a headphone amp! That said, we’ll take a look at some really good budget options starting with closed backs. Often times, an entry level is all you’ll need. I’ve found them to more than suffice for all of your Jazzy goodness! Because there aren’t too many closed backs out there that have a somewhat open sound, this list is going to be a bit short. Sony MDR V6. This is an all around perfect entry level closed headphone, and I’ve found it does fairly well with Jazz too! The bass is very present, but doesn’t overpower the sound signature. The thing that makes them stand out is definitely the mid-range. I’ve talked about these ad nausea, but they really are a perfect starting point if you’re looking for a closed can. Learn more: Sony MDR V6 Review! AKG K553. This is about as close to an open sound as you’ll get with a closed back headphone in this price range or otherwise. I got an incredible sense of air with these, and because of their extremely balanced sound they will also do exceptional with Jazz. Learn more: AKG K553 Review! Sony MDR Z1R. This is an extremely pricey offering, but well worth it in my opinion if you can get one at around $1700. The sound signature is extremely warm, open, and exciting. The Z1R is another example of a closed back headphone that sounds like an open back. In fact, out of all the headphones I’ve personally heard, this one comes the closest to sounding like a true open back. Learn more: Sony MDR Z1R Review! Philips SHP9500. This has become my new favorite budget option, and it’s actually quite scary how well it performs in relation to other higher priced models. I would almost call it a better buy than the HD600, and I don’t say that lightly. This baby tends to be a bit smoother in the mid-range, while the 600’s have a rise around 3k that may be grating at times. The 9500’s sound signature is so buttery smooth, with a light bass response that knows it’s place, but still somehow retains enough impact to be enjoyable. I would place this slightly above the HD558, as I think it’s detail retrieval is better. There’s just an outstanding amount of clarity for a headphone in this price range. Learn more: Philips SHP9500 Review! Sennheiser HD558/598. This is the perfect entry level open back headphone, and could be the only one you need for quite a while. Everything is extremely smooth and balanced, and the bass is articulate but does tend to roll off. You’re not going to get very deep sub bass, but by and large this is a headphone meant for lighter genres. The foam/rubber strip mod works wonders, and will open up the sound considerably by adding some bass impact and more excitement. Learn more: Sennheiser HD 558 Review! You may be wondering about the differences between the 558 and 598. In short, there are none if you take out the rubber/foam strips behind the 558’s drivers. It’s real easy, friend! Interested in the 598 still? Check out my official review! Grado SR80e. This comes in at a close third because the comfort, build, and sound are lacking quite a bit in comparison to the aforementioned models. Still, the SR80e boasts an impressive sound signature, with an excellent bass response. There’s definitely more here, which will satisfy other genres more so than Jazz. However, they still do phenomenal for the genre, but there’s a harshness about them that prevents a top spot. The rise in the upper mids is a bit problematic, and the treble can get Sibilant at times. What does Sibilant mean? The AKG K701/K702/Q701. I’ve written a ton about these headphones and their other siblings. Some called the K701’s Soundstage unnaturally wide, which was fixed in the Q701 version. The K702 basically has a bit more bass emphasis but it’s almost negligible. If it were up to me I’d probably go with the K702 and call it a day. 🙂 Probably the best overall choice for most people with regard to Jazz in this price range. HIFIMAN HE400i/Sundara. Similar to the HD600, this is a bit of a warmer affair, with a ton of clarity and detail. In fact, I’ve gone back and forth so many times between the two that it’s always hard to make an outright recommendation when people ask. Learn more: HIFIMAN HE400i Review! I got a chance to try out the Sundara and it’s a definite step up from the 400i in pretty much every way. Some of the newer batches of 400i’s had QC issues with the headband yoke, but the Sundara improves upon build quality in all aspects. It also provides a better, more crisp overall sound. While the 400S was a bit too abrasive and grainy, the 400i was maybe a tad too glossy. The Sundara strikes a perfect balance between the two. Here’s my review: HIFIMAN Sundara Review! Beyerdynamic DT880. A very similar headphone to the HD 600, but noticeably more of a harsh, sibilant treble range. What does sibilant mean? For Jazz they would be a good option, but are a last resort out of the headphones mentioned. They too have a leaner bass similar to the K701, but slightly meatier. Grado GS1000e. This is an incredibly airy and open headphone, and even more open than your standard open back. What makes these special is their fit, as they make you look sort of like E.T. when you put them on. Aside from all that Jazz (no pun intended), these are remarkable for the genre. The bass is light but still has impact, and the mid-range is phenomenal. I would say this is a detailed headphone on steroids. In a quiet studio environment, I’m able to pick apart songs with startling accuracy, to the point of being able to hear things I’ve never heard with any other headphone. Are these worth the price increase from the Grado SR80e? I would say no, but if money is no object, go for it. They will sound better, but it’s not light years better. Learn more: Grado GS1000e Review! HIFIMAN Edition X/Ananda. This is an incredibly warm, intimate, and pleasant sounding headphone that’s perfect for Jazz. The bass is there, but it’s not overbearing, and the mid-range and treble are both extremely balanced. It’s easy listening all the way, and the headphones themselves also make you look like an Alien but are very comfortable overall. Learn more: HIFIMAN Edition X Review! The Ananda improves upon the Edition X by also improving build quality (as with the 400i vs. Sundara), and the sound is much more open, airy, and crisp in my estimation. The Edition X was a bit smoother/warmer sounding. I personally believe the Ananda represents the $100o price range almost perfectly. Here’s my review/video: HIFIMAN Ananda Review! Audeze LCD-X/LCD-2 (or anything from the LCD line). It’s hard not to put the LCD-X on pretty much every headphone list, and for Jazz these certainly deliver. They’ve got a buttery smooth sound signature, with an almost flawless bass and an overall balanced character. The mid-range is fairly flat, and the treble never really gets too hot. I would say these are a bit cooler and more analytical than an Edition X, but still not too surgical where you can’t enjoy them with a genre like Jazz. Learn more: Audeze LCD-X Review! I’m listening to the LCD-2 now and they’ve got such an amazing Soundstage. I keep hearing stuff off in the distance that sounds like it’s coming from inside my apartment. So with that in mind, which of these do I personally recommend? That’s a tough one. Overall I think you’re going to find the sound of the AKG K702 to be perfectly in line with what a headphone should deliver in terms of Soundstage and Jazz specifically. It’s a quintessential studio headphone that provides dynamic width and spacing between instruments, which really comes in handy for Jazz and how it kind of pans instruments hard left and right. Add to that you won’t have an issue with the anemic/sort of lifeless bass issue present in the K701. It doesn’t roll off quite as hard. Still, choosing between the K701 and K702 is kind of like the choice between Sea Salt and Pink Himalayan; it’s still salt and still tastes almost exactly the same. SEE THE K702 FOR YOURSELF ON AMAZON!! My top budget recommendations are the SHP9500 and the Sennheiser HD558. I absolutely love both of these, and they are my go to for Jazz being that they’re both so cheap and effective. They both bring out some very subtle textures that you’re going to love, as they both sport a balanced frequency response with a fantastic mid-range. If you were wondering about the HD598, it’s a slightly better headphone, but there’s a trick to making the HD558’s sound really open up. It’s the foam mod, and it renders them just about as good as a 598. So if you don’t want to pay for the 598 but want a similar sound, the 558 is the solution. Interested in learning more about them? CHECK OUT MY OFFICIAL PHILIPS SHP9500 REVIEW!! Well that’s about it for today my friend! I hope you’ve enjoyed this article on the best headphones for jazz, and have a better idea of what you should consider. Questions? Comments? Requests? Did I miss the mark on something? Let me know in the comments or Contact me!! Who is your favorite Jazz composer? Which would you add to or take away from this list? I would love to hear from you! I have had the Sennheiser HD 600 for only a couple of weeks and believe that it is the best headphones I have ever owned. I agree with you about the bass and the K701. I am thinking of purchasing it as well just to have a different sound from time to time. Miles Davis is the best jazz artist around as far as I am concerned. Ahh thank you much for the recommendation! If I may suggest, go with the Q701 over the K701 as it’s sound-stage has been much improved, with more bass and a more natural sound. The big gripe with the K701 was it’s abnormally large sound-stage and non-existent bass. But, all that said it works extremely well for jazz and mixing because there’s less of a demand for a thumping low end in jazz recordings, and they’re very honest, which allows them to work great as an in studio reference monitor. Well I got to say, I have never heard of open back headphones. It’s quite interesting how headphones have developed. I bet what you’re experiencing with headphones you have reviewed have sharpened your judgement of picking out subtle sounds. Most of the time when people buy headphones, they want to get the one that gives good bass because it gives the impact. Well our music today has really become more interested in that in my opinion. More flare but not much meaning and substance. You’re article is really cool and interesting. Thanks for sharing. Cheers! Yes Raymond I would agree. A friend of mine today was trying to tell me that his Power beats ear buds were better than my M50’s. I just had to laugh. His weren’t bad headphones or anything, in fact I gave them roughly a 4/5. But The M50’s are the standard right now for an excellent closed back consumer grade model (not for jazz however). The numbers don’t lie! Thanks for stopping by! Great article! I’d say the Sennheiser HD598s are also great for jazz especially if you don’t have budget for an decent amp. Besides, could you please recommend a few IEMs that are great for jazz? I would like to use them on my iPhone. Bud Powell is IMO the most talented jazz pianist and it’s a shame he had a rather tragic life. It’s funny you mention that. With as many times as I’ve recommended the 598’s, you’d think I would have remembered to include them in this list! Lol. Thanks for the reminder, I will have to add those in. They are phenomenal for jazz as well, while serving as a very flat and even sounding headphone. The bass is lean, but overall they are a joy to listen with. After some digging on IEM’s that are great for jazz, I came across a lot of options! Let me know your budget and what kind of sound signature you like and I can narrow it down further. You can contact me! I will try and narrow down my search quickly here though. The ones that came up most were: The VSONIC GR07, GR01, Etymotic HF5, Shure SE535, the Sony EX1000, and the Sony MDR XB90EX. Check out this article as well from Tyll at Inner Fidelity. InnerFidelity’s “Wall of Fame” In Ear Monitors. He goes into some affordable options as well as more expensive ones. I appreciate you stopping by! Any other questions just holler. Great post but had a couple of questions. I’m still very much an amateur, and your post gave me a lot of information to research. I currently have AKG240 MKII and absolutely love them if it wasn’t for the very small ear enclosure it provides. These cans have produced the most astonishing sound quality I’ve heard especially for Jazz and are under $100. I’ve been comparing countless headphones on HeadRoom and even the S600’s, AKG701, Q701, but none produce as distinct of a curve in the mids which afaik is the main frequency used in Jazz. You mentioned in a review on the Senn 600’s that the mids are flat — this frightens me a bit as the graph somewhat shows a much gentler slope and this is counter-intuitive with my knowledge thus far. Any thoughts? Could you show me where I said that specifically? I’m looking at my review and don’t see it. The mid-range on the 600 is actually a bit forward, which I mention a few times in the article. But as for what you’ve said, I love the K240’s as well! Great headphone, but I agree wholeheartedly about the fit. The ear-cups are too shallow, and I’m glad you pointed that out because I need to go back and mention that in my review. As for Jazz, all of these are good but something with a big Soundstage and lots of air (room for the sound to breathe) is what you’re after. I would probably go with the K701/702 or Q701, though the Q has a bit of a deeper bass response. A great budget headphone for Jazz would be the Sennheiser HD558. I’ve found that this handles bass extraordinarily well because it’s more balanced than most headphones, but also has a lot of air. You’ll definitely want a phone that’s kind of bass lean as well, as anything above that kind of muddies things up. You’d be surprised how easily Jazz can get that way. I presume it’s because most of the bass notes are actually not that low. Something that articulates sound and detail is ideal.